A passenger who was on board the Southwest Airlines flight that blew an engine, leaving a woman dead after she was partially sucked out of a window, filed a lawsuit against the airlines on Thursday for causing him Post Traumatic Stress Disorder (PTSD) and other related problems. Zachary Coleman, who claimed the incident in April had caused him to suffer PTSD, anxiety and other illnesses, filed the lawsuit in New York. He is seeking compensation for emotional and physical pain as well as lost wages. On April 17, Flight 1780 of Southwest Airlines from New York to Dallas, had to make a landing 20 minutes into the flight when one of the aircraft’s twin engines suddenly exploded at 32,000 feet. The jet was showered with debris from the impact and a window was shattered. [post_ads]Jennifer Riordan, a New Mexico bank executive, was sitting next to the window that shattered. She was partially sucked through the window due to the sudden difference in pressure, fatally injuring her. Passengers rushed to her aid, but to no avail. The lawsuit said Coleman, one of the 149 passengers on board when the incident happened, was sitting eight rows behind Riordan when the accident happened, according to the Daily Mail. Coleman witnessed the horror and watched his co-passengers risk their lives to pull her back in, the report said. According to the lawsuit, Coleman had suffered “several personal injuries” including PTSD, anxiety, emotional distress, depression and injuries to his body as a result of the “emotional and mental trauma he experienced and continues to suffer,” the Daily Mail reported. “The engine failure and breach of the window caused severe vibrations and the cabin environment to become a whirlwind of airflow and airborne debris which struck Mr Coleman and obstructed his breathing,” the lawsuit said. The lawsuit also said the environment within the cabin exacerbated Coleman’s panic and horror, and he prayed and feared for his life as he heard other passengers say their final goodbyes to their loved ones on their phones. The plane made an emergency landing in Philadelphia after the accident, which the National Safety Board believed happened when one of the engine fan blades snapped. All the passengers onboard the flight received a $5,000 check each and $1,000 from Southwest Airlines. Riordan was the only passenger who suffered grave injuries due to the accident. In June, a group of eight passengers onboard the same plane sued the airlines over similar reasons. “As a direct result of the frightful, death-threatening Flight 1380 incident, each Plaintiff suffered severe mental, emotional and psychological injuries, including post-traumatic stress disorder, and physical injuries,” the lawsuit, filed in New York, said. This was the second lawsuit to be filed due to the ill-fated incident onboard the flight. In April, Lilia Chavez filed a lawsuit at Pennsylvania federal court. The current lawsuit filed Thursday claimed the Airlines had breached its duty by failing to properly inspect the plane. 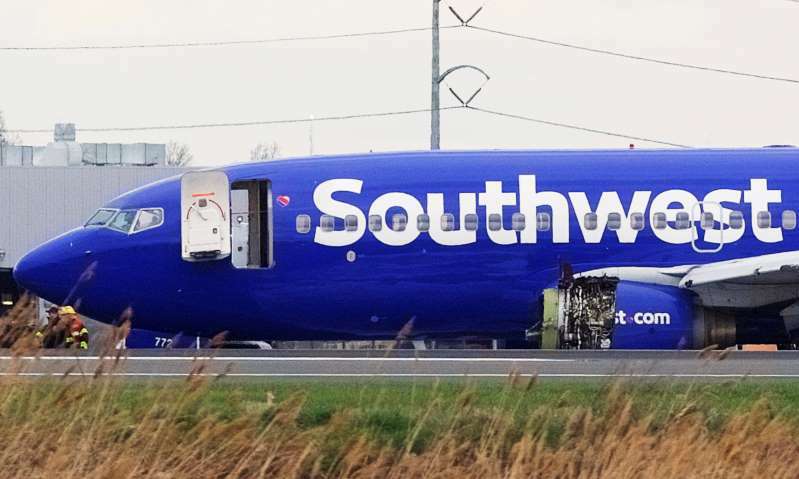 Southwest Airlines is yet to make a comment on the lawsuit.